Eastern Municipal Water District customers are eligible to receive $2 per square foot when they remove grass at their homes and businesses after regional funding opportunities were recently doubled. The popular turf removal program funded by The Metropolitan Water District of Southern California – of which EMWD is a member agency – began providing funding of $2 per square foot as of April 1. In addition to the increased funding, the program has undergone administrative changes to assist customers. San Diego, Calif. – Residents in San Diego can now receive $2.75 per square foot for replacing turf with sustainable landscaping features as part of a new Landscaping Transformation Program launched today across Southern California. Need a financial incentive to rip out your water-sucking lawn in favor of something a little more drought friendly? 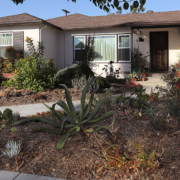 Here it is: The Metropolitan Water District is bringing back landscape rebates, starting in July: The district will offer a rebate of $1 per square foot of turf removal. And, depending upon where you live, you might get an additional incentive on top of that from participating member agencies.